Ignite your body and mind with a boost of sustained energy and mental alertness. 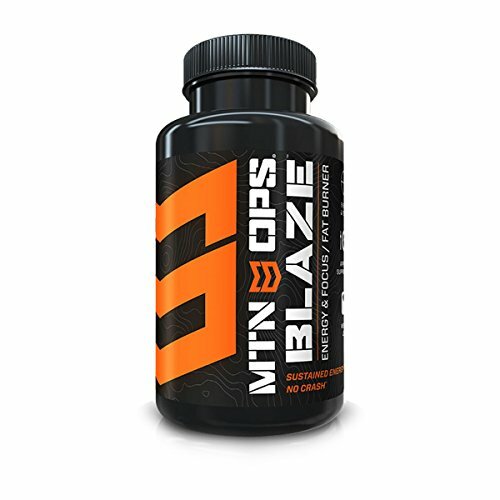 Blaze fuels your body by increasing energy, sharpening mental awareness, and enhancing performance. At the same time it suppresses your appetite and burns fat, making it the ultimate outdoor performance supplement. Our formulated blend of all-natural, scientifically proven ingredients energize and boost metabolism. Whether you want to lose 5 or 75 pounds, maintain a healthy weight, or improve your overall nutritional well being, blaze is your premier weight loss transformation solution. Packed with a diversity of natural, nutritional, and nutrients, blaze helps manage your weight in a healthy way. Clinically proven, the natural compound found in our formula circumvents molecule factors that are involved in obesity. It's proven to have effective thermogenic powers that burn fat, increase energy, boost metabolism, suppress appetite, reduce Visceral fat, improve blood sugar and cholesterol levels, and detoxify the body. Our premier weight solution has everything you need to reach your ideal weight. Say goodbye to unwanted pounds and Hello to your best self today. If you have any questions about this product by MTN OPS, contact us by completing and submitting the form below. If you are looking for a specif part number, please include it with your message.